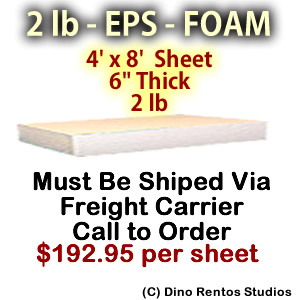 EPS Foam Sheet - 2 lb Density - 48x96x6 - Dino Rentos Studios, INC. Shipping is not included in pricing. Call us for shipping quote. If you order online, we will contact you for shipping options and the cost of the additional charges.